The question that came in from the Lab 6 instructions for my class. 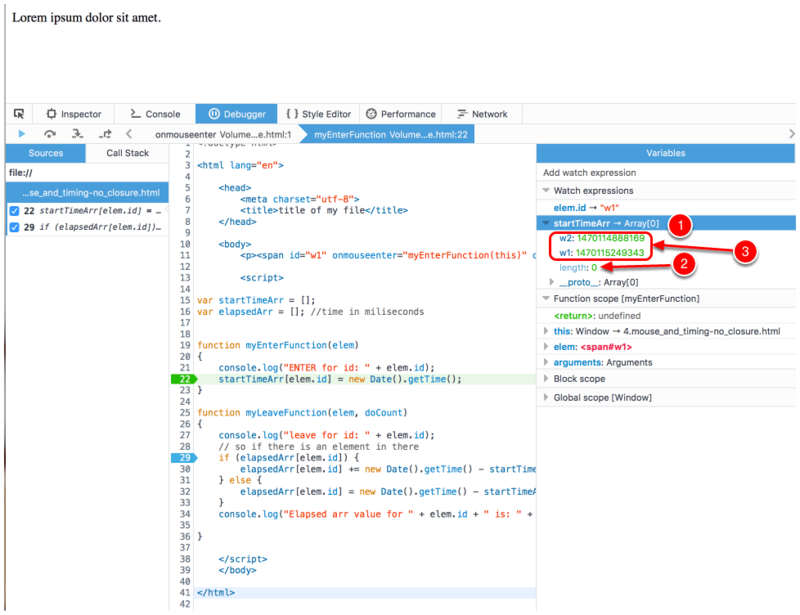 Clarification of Question – Does debugger show what student is claiming? The student question is entirely valid – how can we have an array with 0 elements that has two elements in it (i.e. “w1” and “w2”)? So Array is acting like an associative array not a typical array data structure. 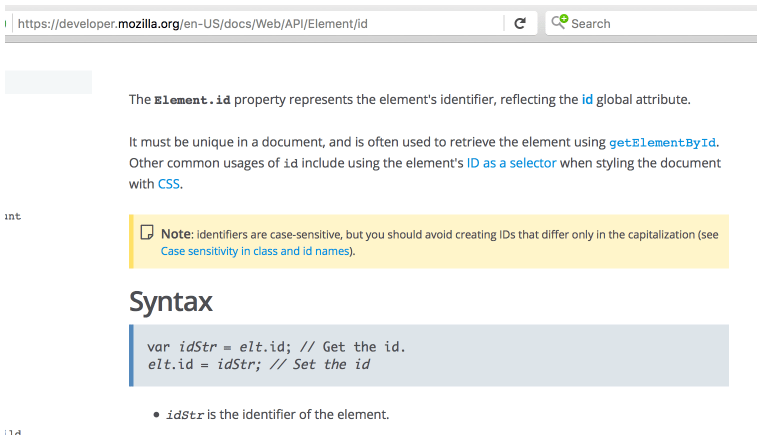 Let’s verify – is the Element’s ID a string? According to MDN, it is. 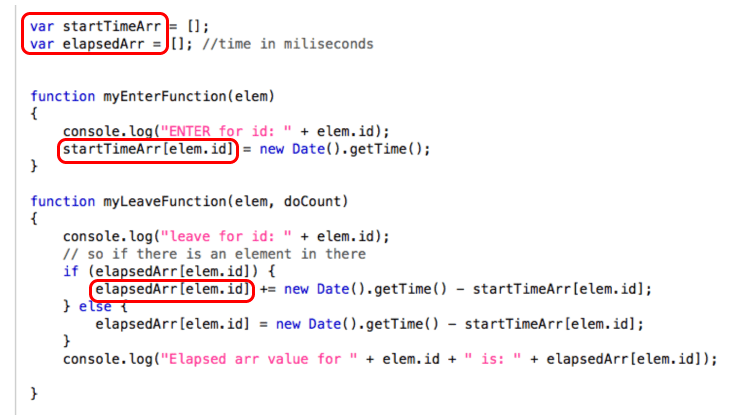 And indeed for this code “w1” and “w2” are the element’s ID. We’re calling it with the dot notation – just like we would access any property on an object. The result is that the Array itself is empty (i.e. there are no index based elements). But the Array object has been monkey patched to have the string1 and string2 properties. Debugger confirms the behavior experienced by the student. 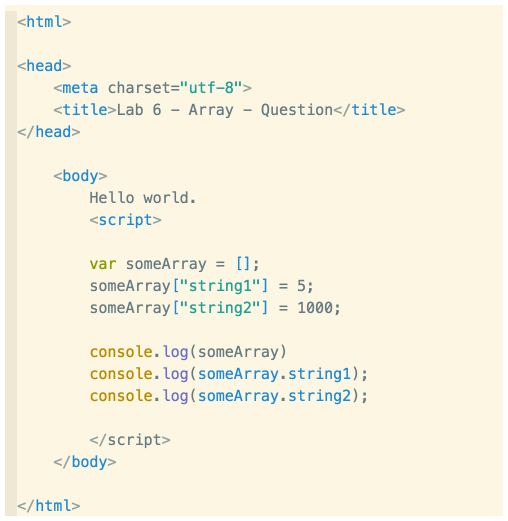 There’s an empty array that contains new properties within it.